Saturday, – 6:00 p.m. – Official opening – we will have the Presentation of the 2018-2019 outgoing Queens and welcoming the 2019-2020 Queens with the Rosary followed by refreshments, cheese and massa. We will have bifanas and linguiça sandwiches available. Sunday, 10:00 a.m. – Event will begin with the raising of the American and Portuguese flags and changing of the crowns. 11:00 a.m. – Mass will be celebrated at the SDES Hall by Rev. António Silveira, with parade following immediately after the mass. The traditional “Sopas e Carne” will be served to all guests. 7/27/19, 5th Annual Portuguese Heritage Night – Oakland A’s, 7000 Coliseum Way, Oakland, CA, Força Portugal! Go A’s! Celebrate Portuguese culture at the A’s annualPortuguese Heritage Night! Each special ticket will include an exclusive Portuguese Heritage Night t-shirt. As an added bonus, July 27 is a fireworks night! 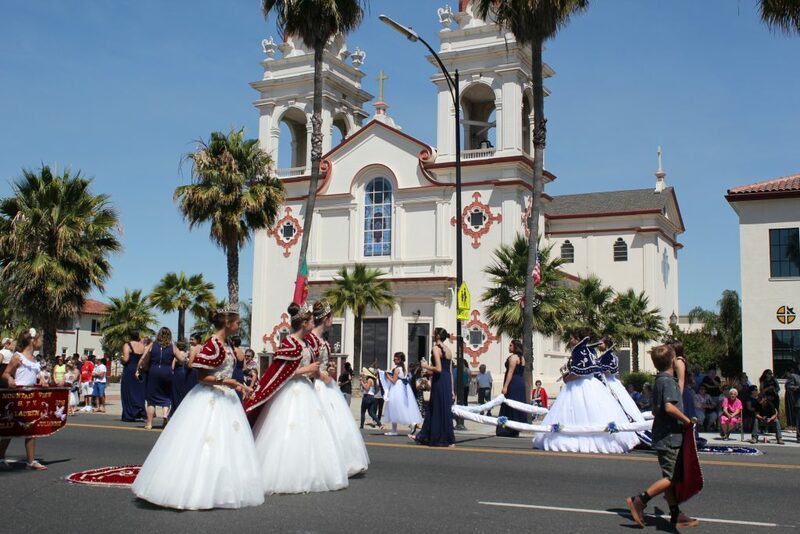 11/9/19, 16th Annual California Portuguese Bands Festival, Hosted by Filarmónica Portuguesa de Tulare – Tulare Portuguese Band, 515 N. ‘I’ St., Tulare, CA (TDES Hall) – more information to come – check back soon.